Adnan Bokhari has been Chairman of Golden Key’s Board of Directors since August 2016. He is also Chief Operating Officer and Chief Financial Officer for Prosperity Now, a nonprofit organization dedicated to addressing economic inequality in the United States. Adnan now resides with his family just outside Washington, DC, and loves life there. Yet he began his life far from our nation’s capital. His story is inspiring, as you will learn in these excerpts from a recent conversation we enjoyed with him. What can you tell us about your childhood? Adnan Bokhari: I grew up in Lahore, Pakistan, where I attended a very prestigious school, Aitchison College, from grade one all the way through secondary school. The school was founded in 1886 by Sir Charles Aitchison, who was the British Governor of the Punjab, to educate the children of the higher classes. But I sense from your tone of voice that you were not from one of those privileged families? Adnan Bokhari: My father came from very meager circumstances, yet he was able to become a lawyer and then appointed judge of the Punjab high court by the then Prime Minister, Benazir Bhutto. And to be a judge in Pakistan was really something. As a young man, he had a great mathematical mind. When he was in tenth grade, he took state exams in mathematics and placed third among all students at the state level. One of his professors, after learning that, wanted to put him to work grading papers that had been submitted for masters-level exams in mathematics. But my dad knew that he did not want to be a mathematician. He wanted to be a lawyer. What a story. When did you come to the United States? Adnan Bokhari: I came in 1994, when I was just shy of 16 years old. It was my first international travel, and traveling by myself was quite fascinating and also frightening. My older brother, who is seven years older than I, was already here, living in Virginia. I moved in with him. There was just enough space in his room for two small beds, and that’s where I lived. And did you attend university after you got here? Adnan Bokhari: I did. I went to Strayer College, which is now Strayer University. I went there because they offered me the chance to take my visitor visa and use it to open the way to a student visa. So that was the opportunity there. I am pretty sure I was the youngest student at Strayer. I was 16 years old. Adnan Bokhari: I started with economics, just because I was 16 years old and didn’t know anything. My brother was doing an undergrad degree in economics, so I started studying economics too, and I got my Associates degree. I then shifted to accounting and earned a bachelor’s degree in that field, because that’s where the jobs were in the D.C. area at the time, around year 2000. My Strayer education prepared me to take the CPA exam. I was able to pass the exam and I went into public accounting. In the firm, I continued to work closely with nonprofits and after working there for seven years, I moved to Prosperity Now (then Corporation for Enterprise Development) as its Chief Financial Officer. I’ve been with them since 2011, and two years ago, my role was expanded to Chief Operating Officer. So I’ve spent the last 17 years or so working in the nonprofit sector. My focus has been on building financial resiliency in nonprofits and creating operational excellence. At what point did you first encounter Golden Key? Adnan Bokhari: I got involved in Golden Key as a member of the Finance Committee, not yet a board member. I was introduced by Jerry Sullivan, who was the Executive Director of the American Association of College-Age Registrars and Admissions Officers (AACRAO), an accounting client of mine. He thought that given my expertise in nonprofit finance, I could be of value to Golden Key. And as I thought about Golden Key members I was reminded about my father. As I said earlier, he had potential and was willing to work hard. I thought about people who at different times had opened different doors and helped him. In his early years, someone helped him get admitted to grade school by giving him a chance to retake a test. Another person helped pay for part of his law school tuition, without being asked. These “door openers” helped him climb the economic ladder from extreme poverty and even eventually to send all four of his children to a school where Prime Ministers and their children go. So in Golden Key, I saw an opportunity to open doors for students. As we know, there is a widening opportunity and income gap not just in the United States, but globally. I care deeply about this issue because of my background. And Golden Key opens doors for the top 15 percent of students in their colleges. When I was a student at Strayer, I did not have Golden Key at my side helping me. But Golden Key has helped me connect with thousands of talented students. We have cumulatively more than two million members and every year, more than 30,000 to 40,000 new members join. That’s a lot of opportunity to make a difference. There are leadership opportunities within the Golden Key campus chapters? Adnan Bokhari: Yes, but not just on campus. Golden Key is committed to developing the next generation of leaders. We have entire international and regional summit agendas dedicated to leadership development. Golden Key members learn critical skills while in college and have a leg up when they enter the workforce. So it is safe to assume that you would recommend Golden Key to students who qualify for membership, correct? Adnan Bokhari: There are many organizations that are trying to do good work on behalf of students, but Golden Key stands out in a few important ways. One is that it’s the largest honor society. The other is its higher educational standard. In my own student years, I didn’t have the luxury of being a full-time student. I was working full time while I was taking courses. At Golden Key, we allocate a portion of our budget for scholarships, about half a million dollars every year, to help ease the financial burden of college. Golden Key also offers leadership opportunities to all our student members and opportunities to give back to the community. So my question to students would be, “Why wouldn’t you join Golden Key?” Think about the opportunity cost. There’s no better alternative for the time that you spend while you are in college. 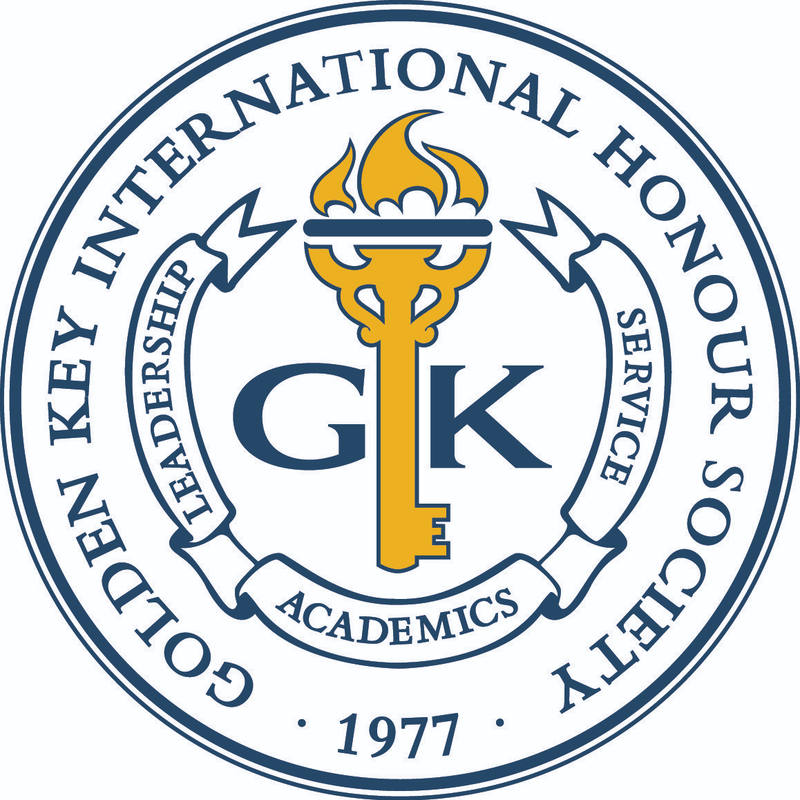 Are you eligible to join Golden Key?